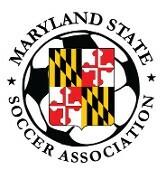 The Morton Cup is the Maryland competition in honor of former MSSA Vice President Darwin "Lefty" Morton. For years, Lefty could be found on the touchlines (usually near the corner) of the various Maryland cup competitions. This Cup is for teams that do not enter either the Rowland or Stewart Cup. This competition is a state cup and the winner does not advance to any regional qualifier.